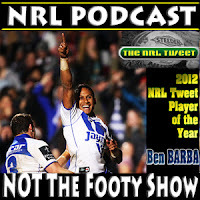 NOT The Footy Show was a staple of the Rugby League landscape from 2010-2012 and although regular production has ended, www.wdnicolson.com is proud to present a reunion special that coincides with State of Origin Game 1 on June 5. 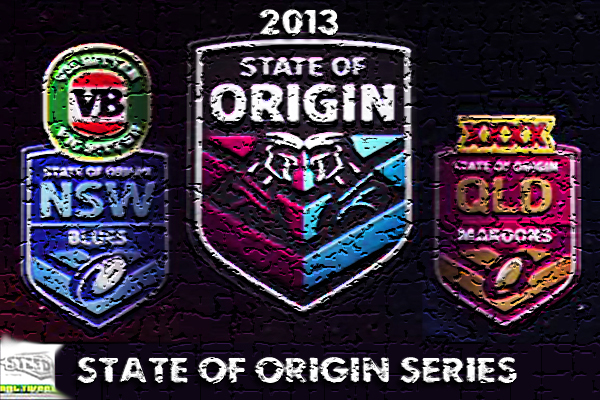 Get excited... the team is back for a little bit of Origin fun. 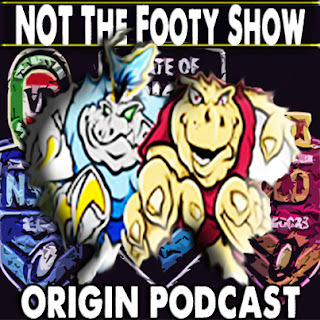 In about 3 hours (7pm Friday May 31) your old friends from NOT The Footy Show will be reuniting for a special Origin Podcast recording. Host Warrick Nicolson will be joined by in-studio co-hosts Dave 'DC' Chapman and Nic McInerney for an hour long show talking all things Origin. Phoning in from all corners of Australia will be Channel 9 Darwin's Sports Presenter Jake Hauritz to talk about the NSW lineup, and 101.5 FM Queensland's Matthew Duncan to talk QLD's squad. 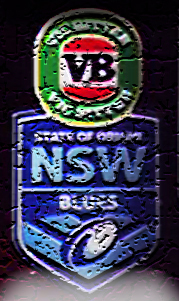 What does it mean for you if NSW win the Series this year? Conversely the token QLDer on the panel - Matthew Duncan - will be explaining why keeping NSW on the canvas is so important to the Banana Benders. Plus the Queen of Rugby League has already left a message for all her fans... yes, Big League's Maria Tsialis is back in business with a heartfelt plea to the Blues to bring home the bacon this year. This Origin Podcast will be recorded tonight/Friday at 7pm in Sydney, and the show will be uploaded on iTunes and our YouTube Channel sometime Saturday afternoon June 1. In case you haven't heard - NOT The Footy Show is reuniting for a one-off State of Origin Preview Special this Friday night May 31st. The hour long Podcast will be available on iTunes and on our YouTube channel (but will be audio) sometime Saturday afternoon June 1st. If you'd like to take part see this post on our Facebook Page. 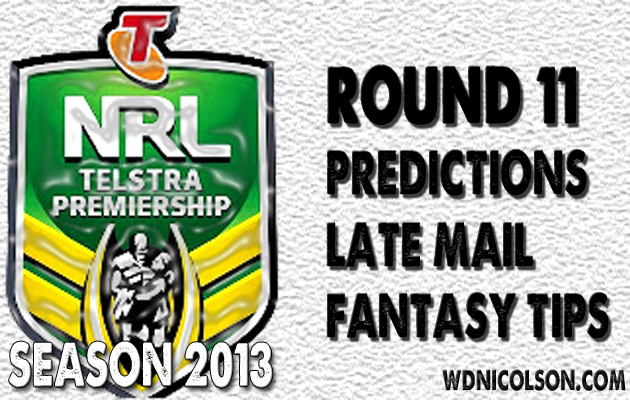 Continue reading below for the Round 12 Tipping Preview. A great time of year for all... yes even NSW fans. We might not have tasted Origin Series success since 2005 (for Queenslanders I'll do the math for you: 7 series wins in a row) but every year when late May rolls around Cockroaches get optimistic... and the better news is that Laurie Daley actually picked a good side this year - with points in them! Anyhoo - NOT The Footy Show's panel of 'experts' will have all those Origin 1 prognostications for you Saturday arvo via a Podcast but right now - let's look at the 8 teams in action for Round 12. How good was the Daley-Stuart combination? It's Origin time and so Phil Gould penned this beauty in the Sun Herald yesterday... it is the third or fourth piece on NSW coach Laurie Daley focusing on him as a player rather than Daley the coach and nearly all of them have been compelling reading. But Gould's is the best... like that's a surprise. Take this line near the opening paragraph for instance. 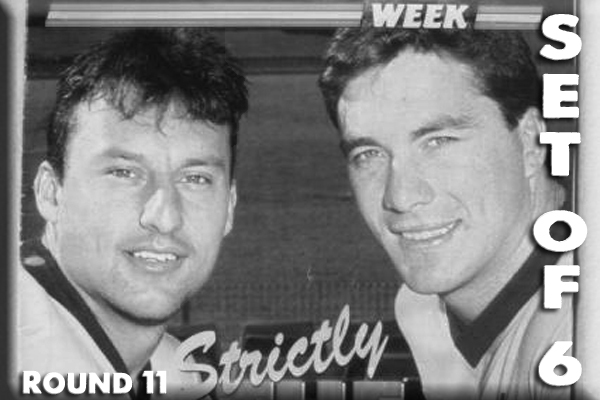 "When Stuart threw the ball to Daley, people knew something great was about to happen." Gould just gets it. After all he is quite often 'it' when it comes to Rugby League analysis. What a lot of anti-Gould people seem to forget is the reason Gus has so many forthright opinions on the game is because he played first grade for years, coached at the first grade level from 1988 through 1999 and then continued his association as the NSW coach after his club retirement. He is - quite rightly - considered NSW's best ever mentor at Origin level and perhaps (more than even Queenslanders like to admit) - gets Origin better than ANYONE on either side of the border. But this isn't actually about Origin - though Daley will coach NSW for the first time Wednesday week. 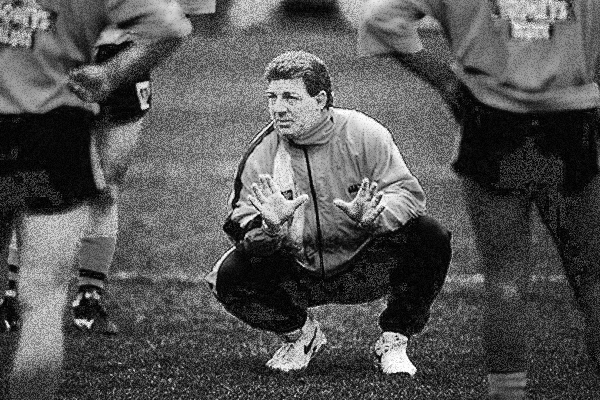 This is about how incredibly well Gould captures the essence of the brilliance that emanated from the nation's capital during the club's golden period from the late 1980s through the mid-1990s... and the regard in which the great Laurie Daley was held by his opposition. Now that's good news for the 34 players who are going to be picked (plus probably two 18th men) because they will have entered Round 11 knowing their fate... but now their biggest challenge is trying to play a game of NRL without getting injured. Admittedly it helps a news organisation to break a State of Origin team early when they have the coach writing for them every week... and these are now the confirmed lineups are below. What do you think of the Game 1 Squads? Is the NSW team good enough to end QLD's dominance? Comment on this feature below or by replying on Twitter. Read about why NSW can't keep overloading with backrowers in Game 1 here. With Game 1 State of Origin Teams named at the end of Round 11 - we've got Scouting Reports on various contenders right here. Here is the Predicted NSW Game 1 Team we believe coach Laurie Daley is set to announce for the June 5 clash with Queensland at ANZ Stadium. 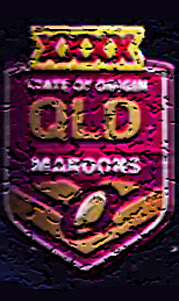 Plus Mal Meninga's Queensland Team has also been predicted... though injuries are playing havoc with both lineups. Continue reading below for the Round 11 Tipping Preview. Comments are a regular feature on www.wdnicolson.com. Let us know what you think of this Origin Comment via @NRLTweet or please email us. NSW cannot afford to overload on backrowers... again. The good news entering Origin 1 is that the actual NSW coach - Laurie Daley - is the one selecting his squad this year... with the help of Chief Advisor Bob Fulton (who we all hope still knows a thing or two about picking quality sides). But Daley's close relationship with the Daily Telegraph and Fox Sports basically means that if you have followed either media trail in the last two months - his views on a variety of players' chances have pretty much been played out in the press the next day. If the Telegraph started talking up Blake Ferguson - odds are they got a good line from Daley about how he viewed the Canberra outside back a few hourse earlier... same goes for the current campaign to put Paul Gallen at prop and maybe bring Willie Mason back into the squad for his experience. Admittedly - under Ricky Stuart - the same leaks to the press occurred given the former NSW coach's relationship with the Telegraph (but not the same with Fox Sports however), but unless my memory serves me poorly - Craig Bellamy wasn't quite as up front with the press. But the focus of this comment is the number of backrowers NSW have kept picking every series as they try to overcome the class of the Queensland team... especially in the past two years. And you know who is to blame for this trend?